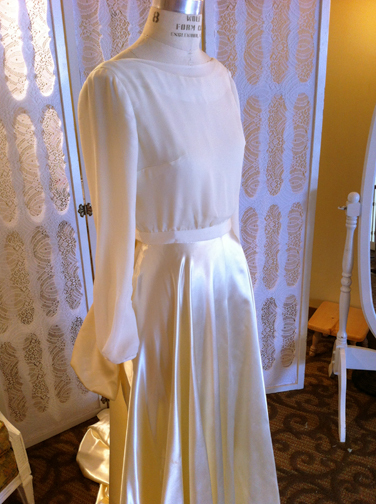 Using silk georgette and chiffon we reconstructed the top of the dress for a clean and modern silhouette that matched Cris’ style. 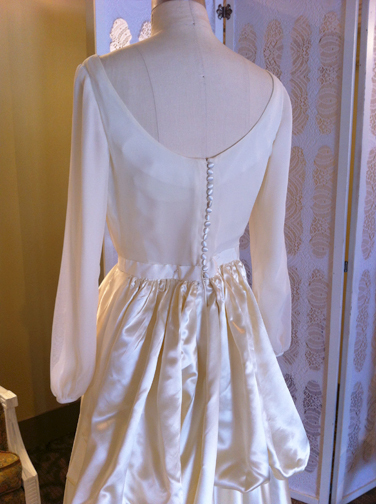 The delicate double layer boat neckline dips low in the back where satin buttons close the dress up. 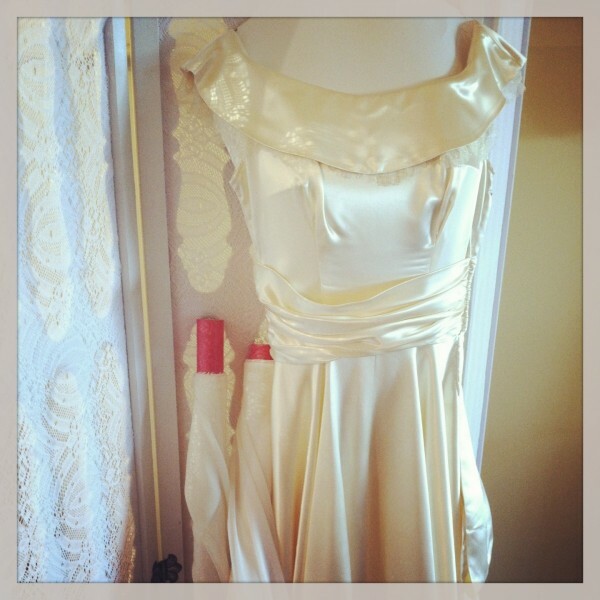 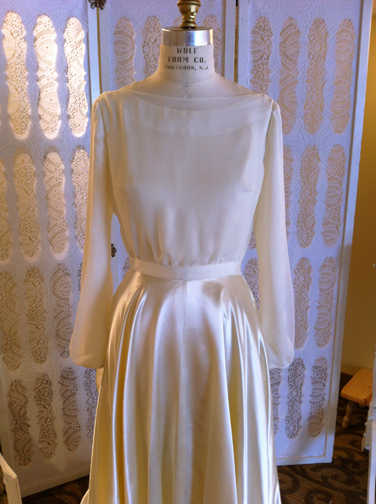 We added fitted sleeves that billow slightly at the wrist and finished her off with a creamy grosgrain belt. 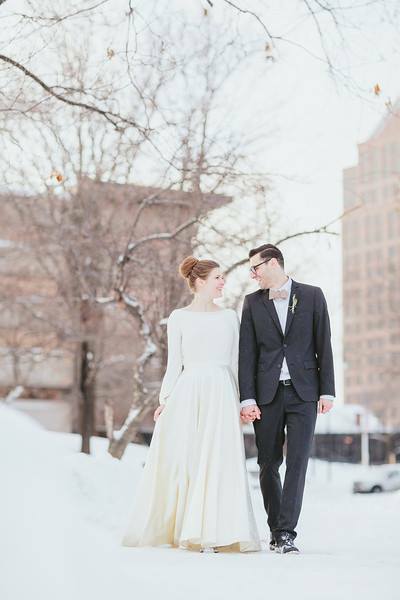 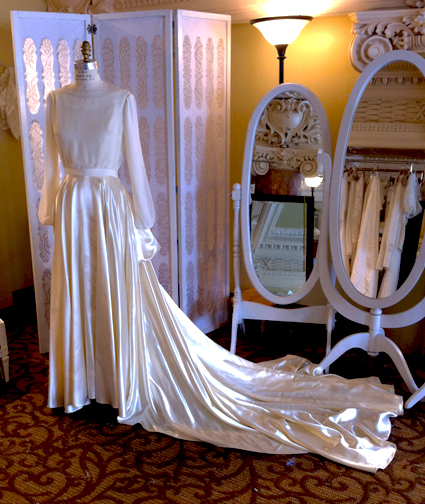 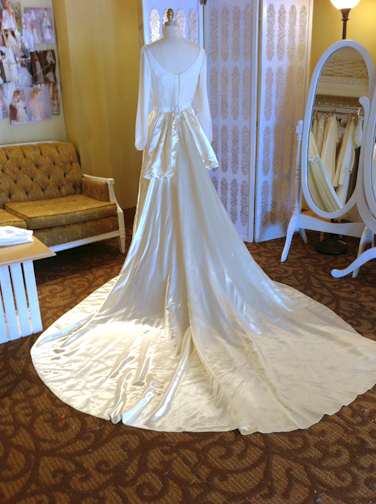 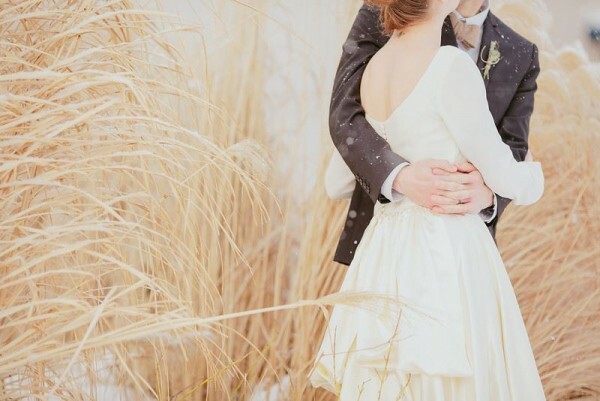 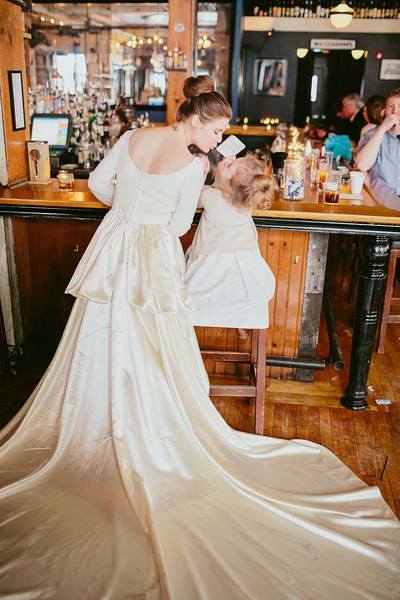 We kept the original cathedral train and draped bow detail at the back waist which created a beautiful bustle.